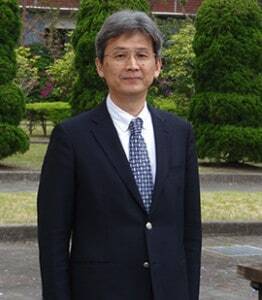 Professor Ken Takahashi is the Director of the Asbestos Diseases Research Institute (ADRI), University of Sydney. After graduating from the School of Medicine, Keio University (Japan) and accomplishing clinical residency, he moved to the University of Occupational and Environmental Health, Japan. There he studied and worked for 31 years including 16 years as the Professor of Environmental Epidemiology and Director of the WHO Collaborating Centre for Occupational Health. He has engaged in epidemiologic research of occupational diseases, with special interest on asbestos-related diseases. He has been serving as consultant/advisor to the WHO and other UN specialized agencies on a number of occasions, examiner/advisor to academic institutes in several Asian countries, is a former Board Member of the International Commission of Occupational Health and former President of the Asian Association for Occupational Health. He currently serves as the WHO Expert on Chemical Safety/Environmental Epidemiology (International Health Regulations) and is a Fellow and Executive Council Member of the Collegium Ramazzini. At ADRI, Ken hopes to further strengthen the excellent track record on studies of disease mechanism and clinical trial and complement the research portfolio with his area of expertise. He received the Jorma Rantanen Award from the Finnish Institute of Occupational Health in 2011 and the Selikoff Lifetime Achievement Award from the Asbestos Disease Awareness Organization (NGO in USA) in 2014.